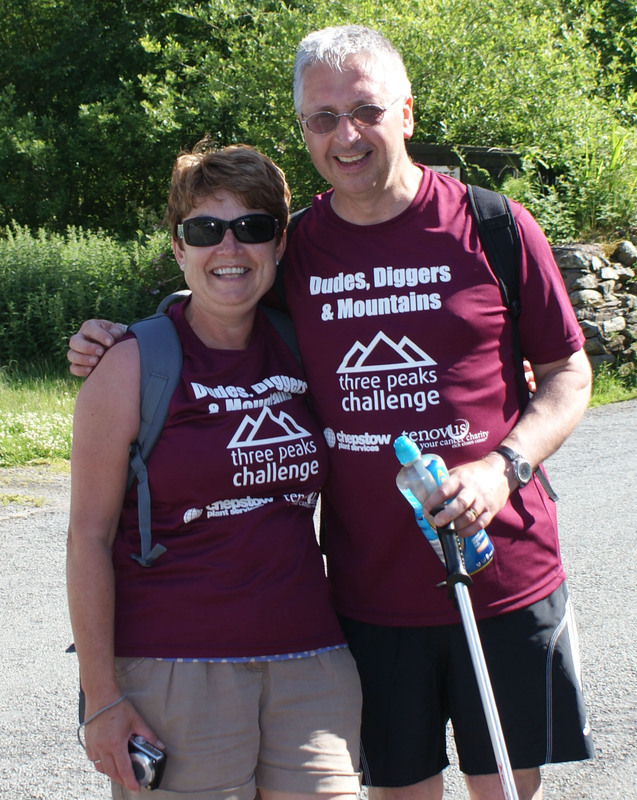 Completion of the three peaks challenge within the 24 hour limit is quite an achievement, one that the Chepstow Plant Services team – Dudes, Diggers and Mountains took in their stride. No doubt there were times that each of the team asked themselves ‘why am I doing this?’ But that was easily put to rest when they remembered the £20,000 (with gift aid) that had been raised for Tenovus and with funds still coming the team embarked on Snowdon with as much vigour in their stride as they could muster! 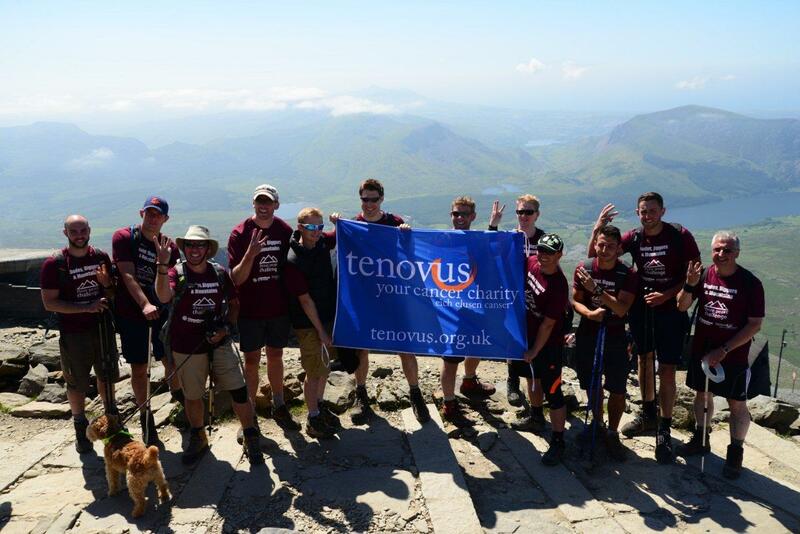 By the time they began mid-morning on Saturday 6th July the sun was already blazing in the sky, the 3,560 ft of Mount Snowdon was pretty daunting after more than 11 hours in the car and the two previous peaks of Scarfell and Ben Nevis. Still the whole team got on their way and made it to the top in good time. It was by any other means a beautiful day to be at the top of Snowden with clear blue skies and a clear view over to Ireland. 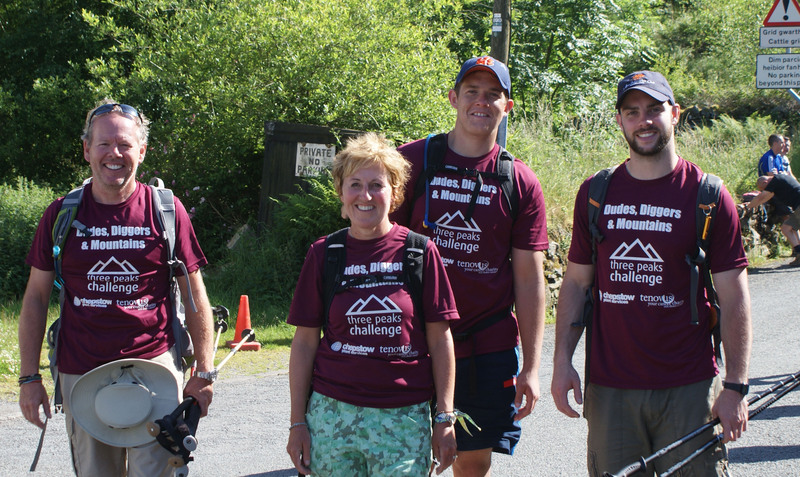 Part of the support team had climbed Snowden in order to meet the team at the top and many participants were delighted to see their friends and family – a great boost to get them to the end of the challenge.